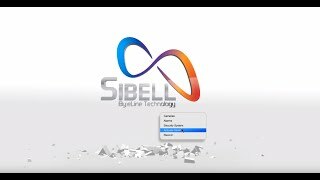 The IPOD-SB2IRE28 by Sibell is our latest economically priced IP network dome security camera that is capable of giving you top-quality 2MP video in your home or business. 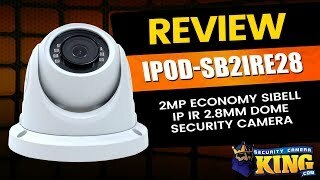 Thanks to advances in camera technology, prices have come down enough that you can replace those tired analog cameras and quit suffering through pixelated images every time you try to review your video. This has a 2.8mm fixed lens that is perfect for placement in large and small areas. It’s capable of delivering an excellent wide angle view of parking lots, warehouses or maybe your office or a small retail store! Low light areas got you concerned? No worries . . . this has built in IR (infrared) and that allows you to see in total darkness up to 65 feet. 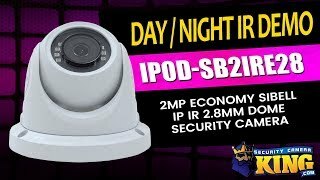 If you like choices then this camera will fit your bill since you can choose to use a standard 12v DC power supply or easily power your camera using the same cable that you use for data transmission using what is called PoE or Power over Ethernet. Install this worry free with the included 2 year full warranty, FREE US based tech support and our FREE remote viewing software. Very nice camera. The only issue is the hardware supplied with the camera. Use your own hardware because the heads of the screws do not accept a standard #1 or #2 Phillips bit.